In this guide, you can find an easy solution to get back lost data like photos, videos, music, documents, etc from formatted SD card. 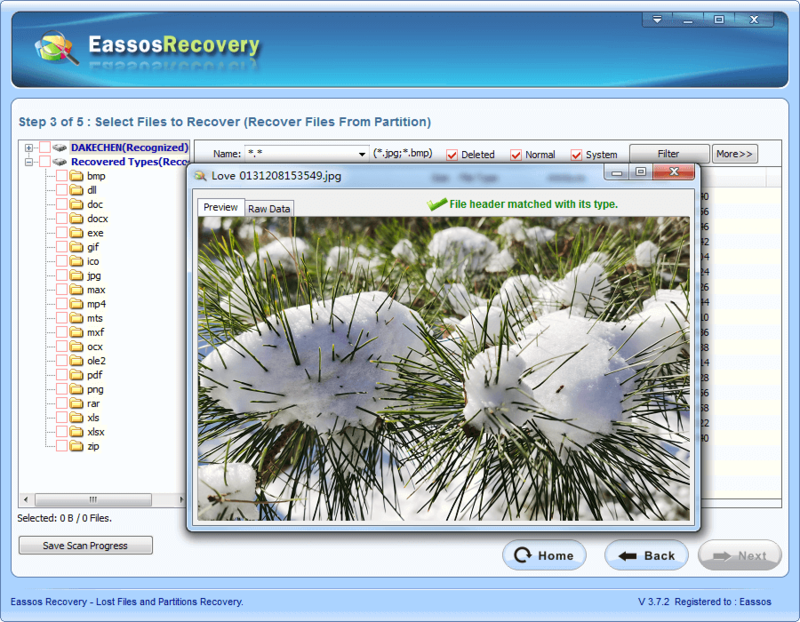 Eassos free SD card recovery software can help you recover lost data from any data loss issues. What is a SD card? SD card (Secure Digital) is a non-volatile memory card format used in portable devices, such as mobile phones, digital cameras, GPS navigation devices, and tablet computers. SD card such as Mini SD, Micro SD, SDHC etc. has entered our life and work for quite a long time. It is widely used on cell phones and digital cameras and it stores photos, videos, music, documents, etc. Accidental formatting (complete format or quick format) is one of the most common data killers. Many digital devices are equipped with functions like “format SD card” or “system restore” etc. Once you perform the option, all data will be formatted and the SD card will be totally blank. Thus data on the SD card is at great risk if it doesn’t have a backup file. Believe it or not, you are not the only one who suffers SD card data loss. Formatted SD card and all data erased? Similar to deletion, formatting option also won’t clear the data on SD card until new data takes the space where formatted data originally occupied. That means you still have possibility to recover files from formatted SD card. First things first, when data gets lost, you must stop using your SD card and take it out of the device like digital camera, mobile phone, camcorder, etc. Do not attempt to take more photos, store any other data, otherwise formatted data might be overwritten. What’s more, never give the SD card any chance to suffer physical damage. The most straight and effort-saving way to recover files from formatted SD card is using third-party SD card recovery software. 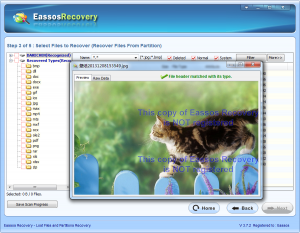 Eassos Recovery is a piece of popular SD card data recovery software, which can recover deleted, formatted files from SD card. It has a wizard-style interface that allows you to easily recover lost files deleted or formatted from SD card, and it supports almost all brands’ SD card like SanDisk, Kingston, PNY, Lexar, Transcent, PQI and so on. Step 1. 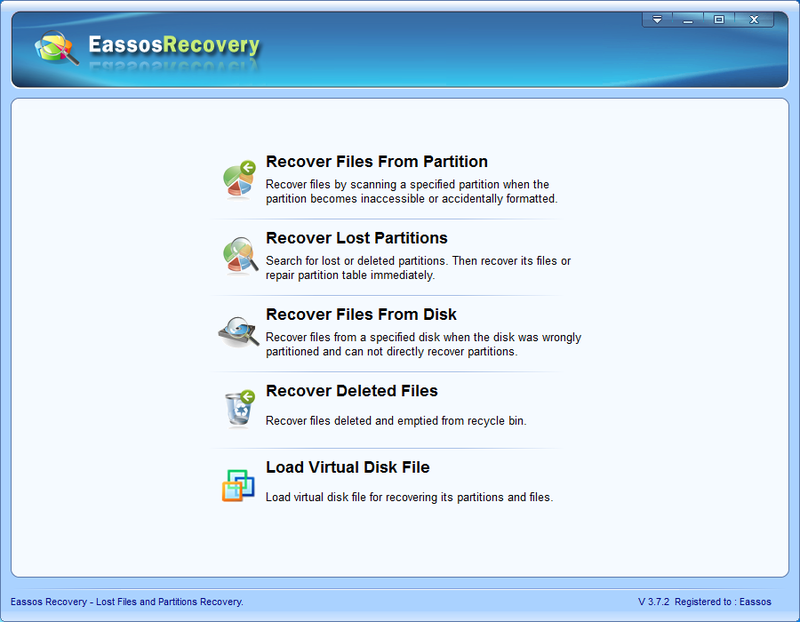 Run Eassos Recovery and ten select the proper recovery module to enter next step. 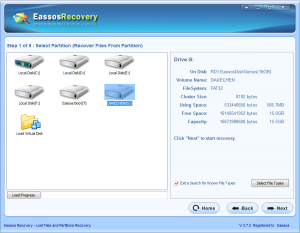 To recover data from formatted SD card, the “Recover Files from Disk” should be selected here. If you want to recover deleted files from SD card, the “Recover Deleted Files” is more appropriate. Step 2. Click the icon of the SD card and click “Next” button. The software will begin to search for lost files from the SD card. Step 3. Select desired files and recovery. Select files you want to recover and click Next button. 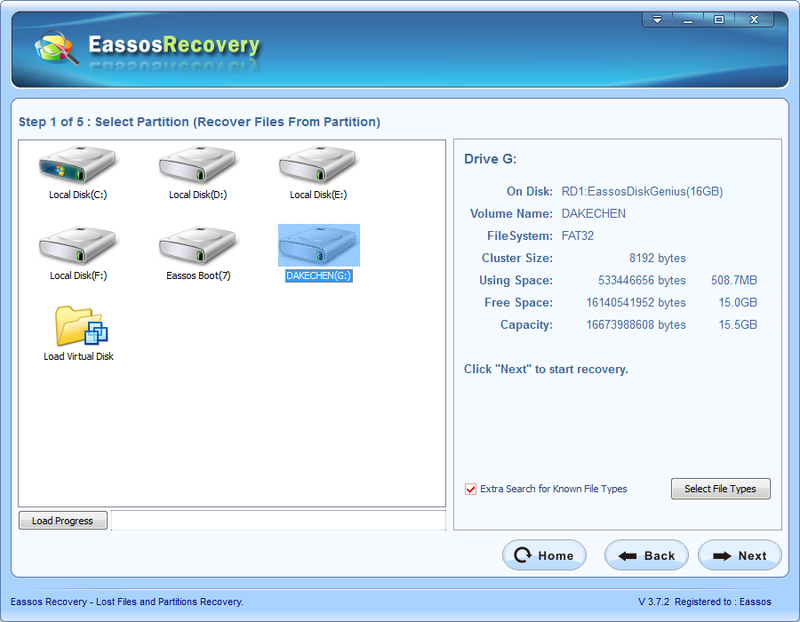 Then you can set a location to save recovered files. 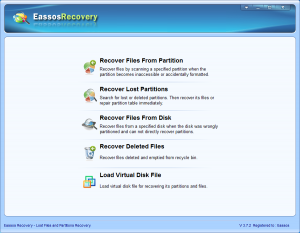 This entry was posted in Data Recovery and tagged recover deleted files from SD card, recover files from formatted SD card, SD card recovery by EASSOS. Bookmark the permalink.